A “Topping Out” Celebration was held on Friday, August 31, 2018, and marked the significant milestone of all of the concrete being poured for the construction of the new Leach Science Center Addition. 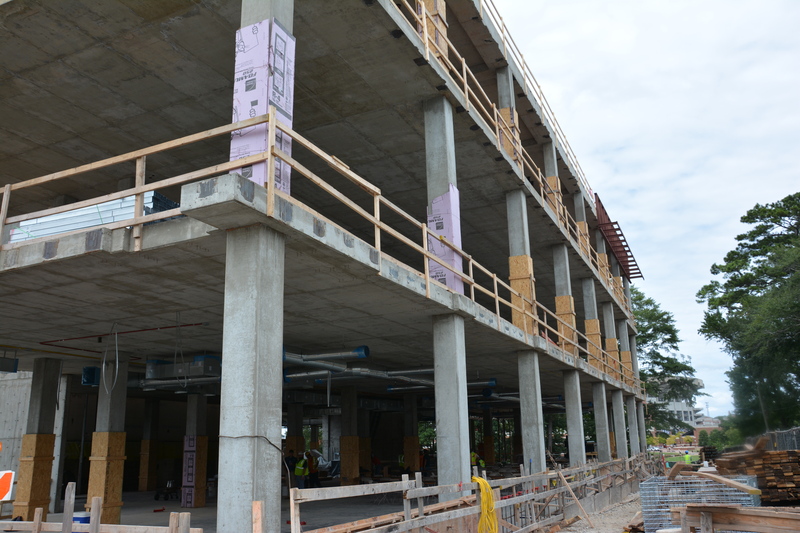 The $24 million, 62,500-square-foot project includes new classrooms on the first and second floors. 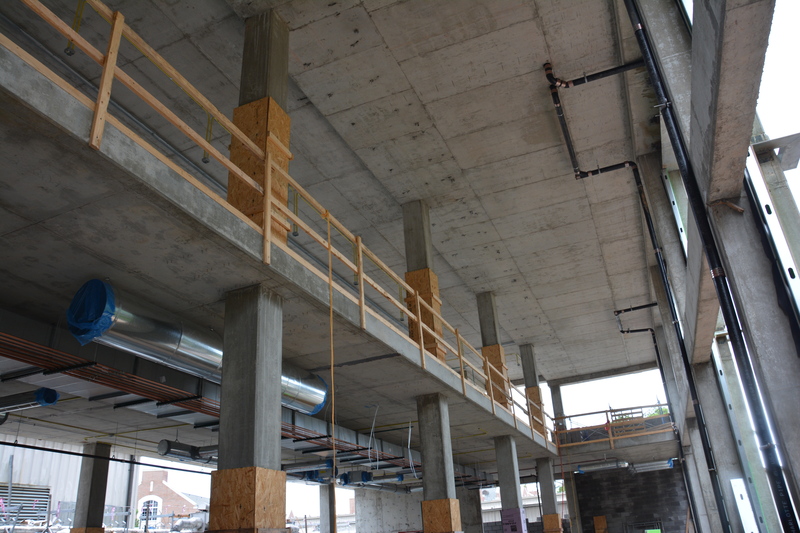 The first floor will also include open group study areas. More students will be able to participate in astronomy classes and sky-watching events. “Students will have the ability to learn about astronomy with 18 remote-controlled telescopes mounted on a rooftop terrace,” says Dr. James Hanson, Chair of the Department of Physics. Don Thurlow, a senior project manager with Rabren General Contractors, was in eighth grade when he first visited the original Leach Science Center on a field trip to Auburn University. “It is an incredible feeling to have grown up in the community, walked through this structure as a child, and now be part of the team that is constructing the new center for future generations,” he explains. The new Leach Science Center is set to open during the Spring 2019 semester. Watch live webcam footage from the construction site. 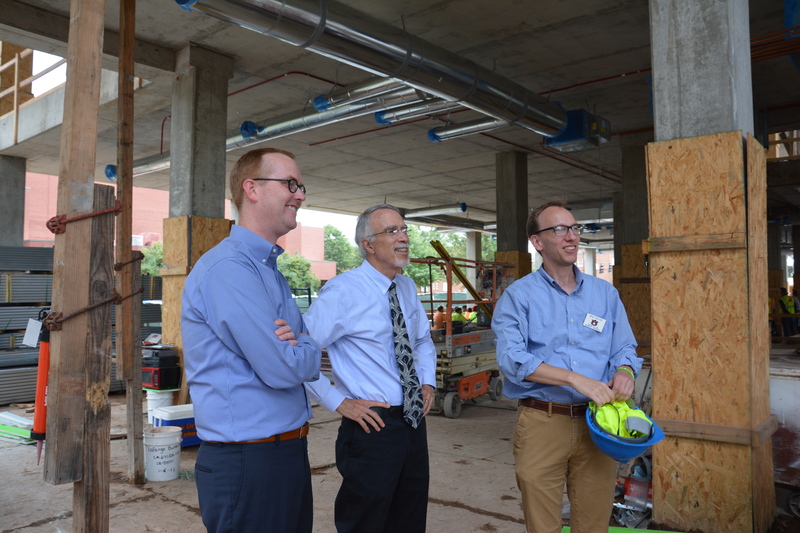 Simon Snyder, Dean Giordano and Brad Prater look at the concrete structure of the new Leach Science Center. The interior of the Leach Science Center. 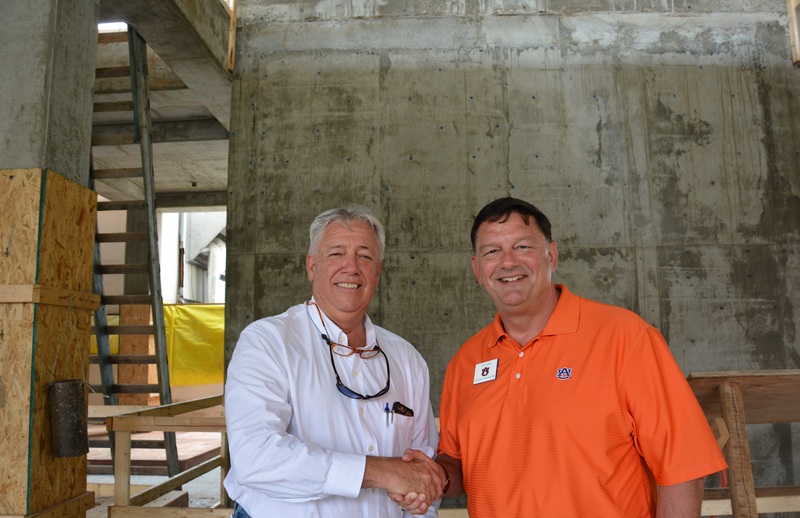 Don Thurlow with Rabren General Contractors and Dan King, Auburn University's Associate VP for Facilities. The exterior of the new Leach Science Center.